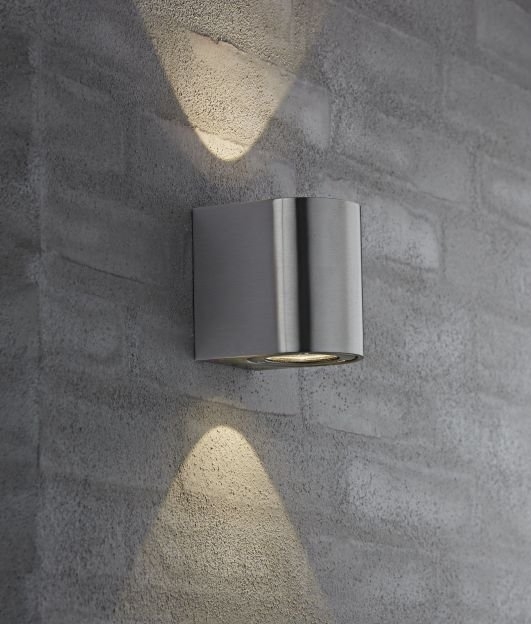 Are you in doubt as to whether to buy an outdoor light that shines light upwards or downwards? Or do you want both? 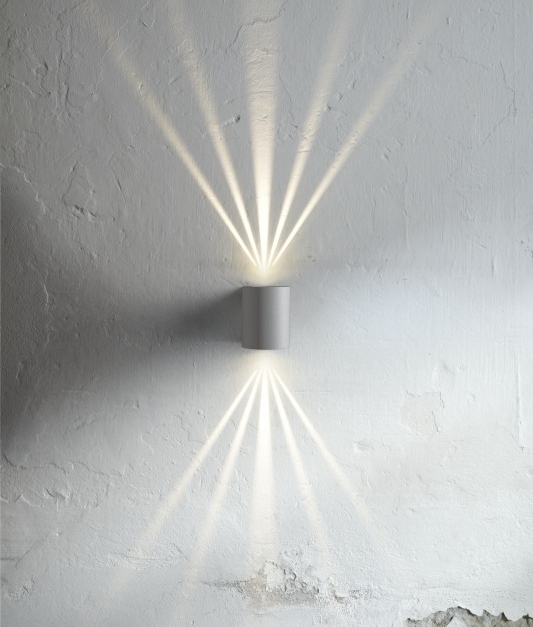 With this fitting, you do not have to make the decision beforehand as you can be your own lighting designer. 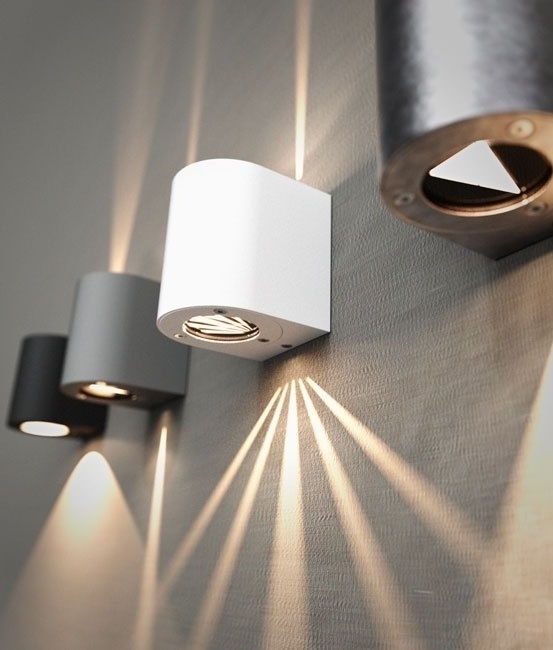 This nifty little wall light comes with three pairs of drop-in gobos (laser cut steel discs) and one solid disk for blocking light. These can be used by unscrewing the glass and dropping in the gobo. This gives you the chance to choose many different patterns by simply changing the gobo filter. The lighting displayed can be yours and yours alone! 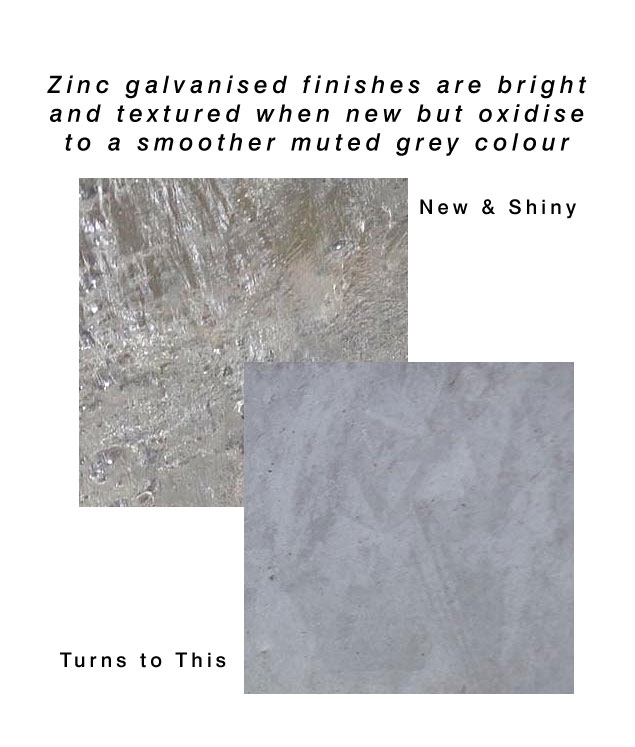 Whilst designed originally for exterior use many use this product to create a focal point on interior walls too. Offered here in a round style in a white, black, grey, galvanized or stainless steel finish. Has two 5-watt warm white (3000°k) LED chips, with a lamp life of 25,000 hours and providing 700 lumens in total. Are the LEDs integrated into the fitting? Can they be replaced? What is the price of the GU10 version? Yes this fitting has an integrated LED chip, which cannot be replaced. This fitting does come with a 5 year guarantee. The GU10 version can be found by searching product ref 7456. 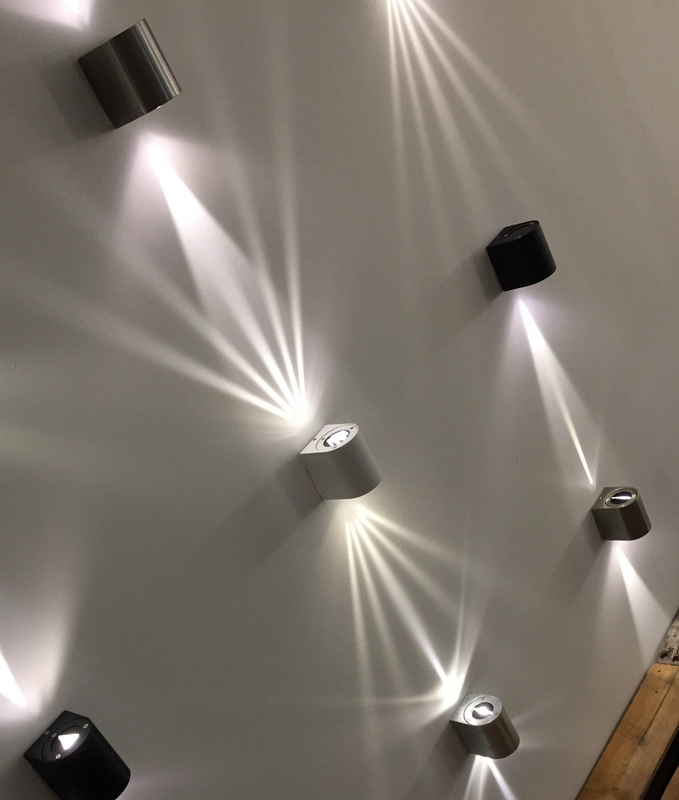 Can these lights be used in a bathroom over a basin mirror? This fitting is IP44 rated and so yes in theory it can be used over a basin mirror. Are the led's changeable or does one need to replace the unit. 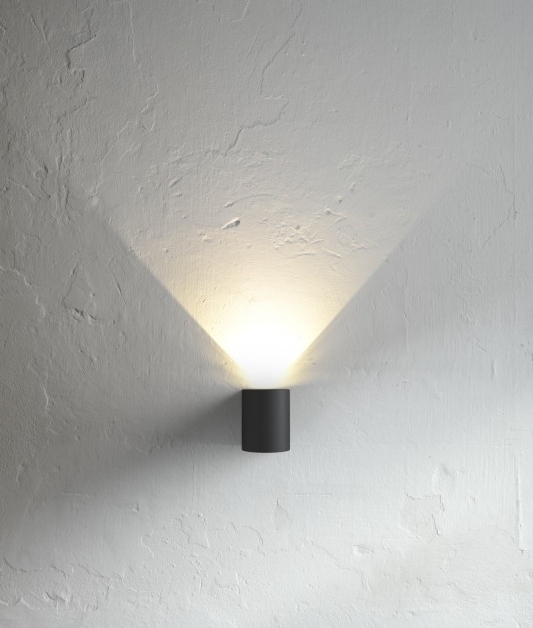 To achieve the defined beam angles this type of fixture requires a small LED chip. They are not replaceable by the end user but we can replace the chip if it fails prematurely. The average life is 25,000 hours. Hi can these be put on a dimmer ? The LEDs inside this fitting are non dimmable. Stainless steel has a polished clean finish, where galvanised looks raw. Is this light suitable for both 110V and 220V ? This LED wall light is 230-240v. We live in a coastal area so I would like to know if these are powder coated light fittings? Thanks. These are not suitable for installation in coastal areas. We have a Coastal section where we have lights that are suitable for coastal areas. So each lamp comes with 6 discs - how many of these are the same? i.e. is this 3 pairs of disc - so 3 options for the upward facing pattern, and 3 options for the downward facing pattern - or it here some other sort of combination? The pictures seem to show a wide beam, a narrower beam, a very narrow beam and a multiple beam - and the option not to direct a beam at all but to blank it off?!! Help please!!!! This product comes with 3 pairs of patterned discs, 1 single solid disc for blocking a light, and can be used without any discs. This is a mains fitting, no transformer is required. The LED can not be changed, though does have a 5 year life guarantee.